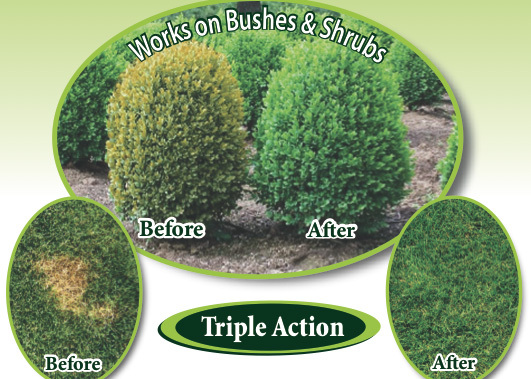 This patent-pending all-natural formulation gives immediate results by penetrating the brown or dead plant material with a specially developed colorant that seeps into the blades of grass or leaves and stains them green. 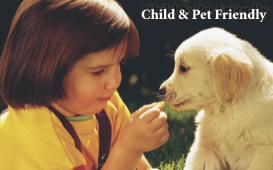 Next, it uses a proprietary microsphere blend which neutralizes the residue from pet markings and over fertilizing thus helping to repair the damage. 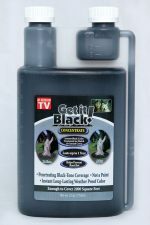 These microspheres turn to compost helping to accelerate the growth of new grass or leaves for a strong green lawn or plant. 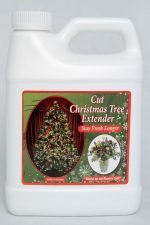 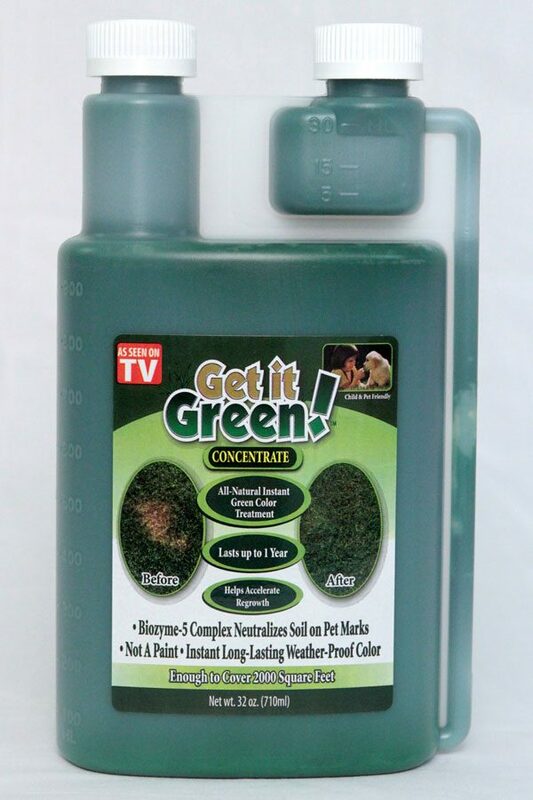 Get it Green™ can be used on indoor and outdoor plants in all weather conditions and climates. 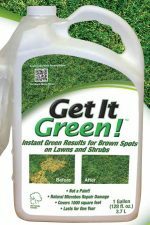 Get it GreenTM is not a paint but a safe, water- based solution for all types of lawn and plant material.